This Sydney weather is playing topsy-turvy with my whole life. From 30+ degrees to winter and back again in a matter of days, bringing the warmest of jumpers back out of hiding and inducing a pre-Christmas dreaded illness. That and extreme emotions arising – teary eyes for no reason, anger at my messy handbag, on and on. Uncertainties that sit at the back of the mind find new life again, playing haunting games ( wrong time of year, brain ). We are all just waiting for the year to end. I turn to glorious clothing in the meantime instead – an escape, a vent, a landscape of beauty, where emotions are level and the weather is always perfection. So here we go – I’m calling it. Auguste the Label could just be Australia’s closest answer to The Reformation ( and we really do need our own answer – the honest voice in my head always reminds how bad our constant online shopping and worldwide shipping probably truly is ). They’ve got big, whopping big, shoes to fill and one helluva status to live up to, but from what I’ve seen so far, it’s positive. It’s a bit more boho, a lot more Byron Bay ( minus the dreadlocks and tie-dye ), but the general simple, yet beautiful, aesthetic is spot on. The philosophy is on par too – a belief I also strongly hold, and benefit from myself. The aim to create pieces that can be passed down through the generations, from mother to daughter, because of this inherent quality and timeless / trend-shunning design. 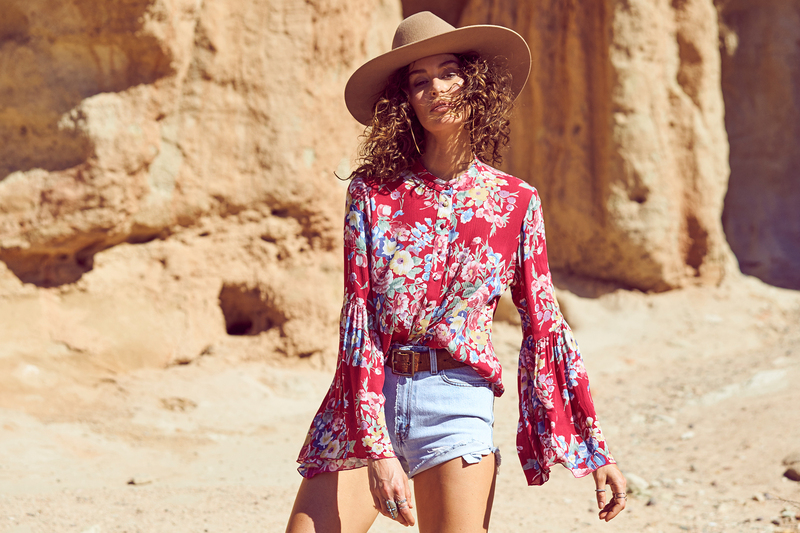 Not to say the pieces themselves aren’t “trendy”, but we can always make big sleeves a thing, florals will exist forever in some form, and everything goes round again. Rarely is the wheel re-invented. And if you’ve got the time, take a brief look through their detailed ethics. We know who made our clothes, we know where they live, we know where our money goes. That is the key – TRANSPARENCY. I have my heart eyes set on the bell-sleeve shirt and the beach house frill dress ( which is exactly what I’ve been looking for this season ) so I can pretend I live in California everyday and just float through summer with a canvas tote, bejewelled sandals and free flowing hair to match the sunshine vibe. Previous Post christmas outfits of your dreams. Next Post reflecting on the year that was.